I am happy with the content in this episode of the Conscious MIllionaire. 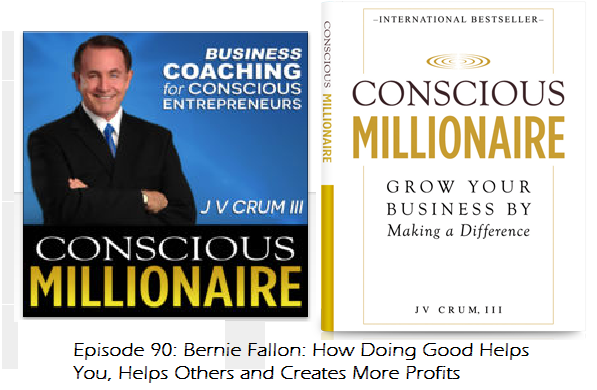 Conscious Millionaire is a book and a radio podcast by J V Crum, III. We discussed Goodology and brought up various principles, which I think are awesome. I didn’t speak of my antenna thoughts in J V’s podcast. But, I think of your inner energy as an antenna rising. Your life is a reflection on the height of that antenna. If it’s squashed, then your options in life are limited. You reception is poor, thus you get less stations. Many issues suppress that antenna like anger, frustration, guilt and regret. But the suppression of the energy is not in the thought of anger or frustration. It’s in your inner energy. Too often solutions are focused on the goings on in your head. The area of focus needs to be your energy. So, when you make that distinction and learn that, you can begin with exercises. Positive energy flow and a raising antenna is the catalyst to more in your life. The energetic increase gives you more options. Obviously, this is an overly succinct version of my Goodology message. But, listen to the podcast and see if any of these principles emerge. Here is a link to J V’s book called Conscious Millionaire. This is a link to the podcast on Conscious Millionaire. Here is J V’s website at the Conscious Millionaire. Here is J V’s Facebook page for Conscious Millionaire. This is J V Crum, III on Twitter. Next articleBaby Smiles With New Glasses!